Not Possible IRL (NPIRL - that's pronounced "N-Pearl") just celebrated its first anniversary on July 4th, so I was especially delighted to accept Beyers Sellers' (aka Robert Bloomfield) invitation to appear on his show, Metanomics, tomorrow at noon SLT, to speak up, out and about the Not Possible in Real Life concept and our two groups: Not Possible IRL and Impossible IRL. 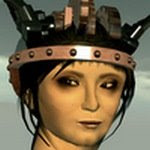 In its short but stellar life, Metanomics has already been host to an extraordinary number of outstanding leaders of virtual worlds and, as such, is critical to shaping the way we think. Since they generally focus on business and economics, I hope to put some virtual roses in their cheeks and share our excitement over the fact that content creation tools and the physics that govern the online world of Second Life® provide an unprecedented palette for artistic and intellectual expression of things that are... well... not possible in Real Life. 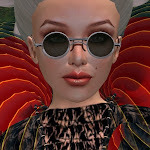 Metanomics has its own venue on Muse Isle (teleport directly from here) and simulcasts all its events live on www.slcn.tv. It also posts video, audio, and audio transcripts and chat discussion archives on the Metanomics website, after the fact. I also want to thank Metanomics' producers Bjorlyn Loon and JenzZa Misfit, for letting me play around with the set a little bit. That was fun. See you there! Happy 1st birthday "N-Pearl"! A great resource, and one that I normally point to when during the course of my job I'm asked 'show me something good about virtual worlds.